Of all the...well, I guess there can never be too much Batman, right? If you've seen the trailer for Teen Titans GO! 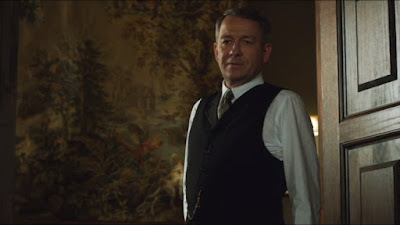 To The Movies, there's a moment where it pokes fun at the idea of a movie featuring Batman's butler, Alfred Pennyworth. Well, today Alfred has his own TV series. From the guy who made the poorly-received Batman prequel, Gotham. Cue up the laugh track? Yep, Gotham creator Bruno Heller now has another origin series on his hands with Pennyworth (ugh), which has been given a straight-to-series order of 10 episodes by Epix. That's a real channel? Anyway, it's set in a complete different universe from Gotham (so no Sean Pertwee in the role), and centers on Alfred's past "as a former British SAS soldier who forms a secret company and goes to work with Thomas Wayne — Bruce's billionaire father — in 1960s London."